This native woody shrub is usually five to six feet tall, although it can grow up to 20 feet. 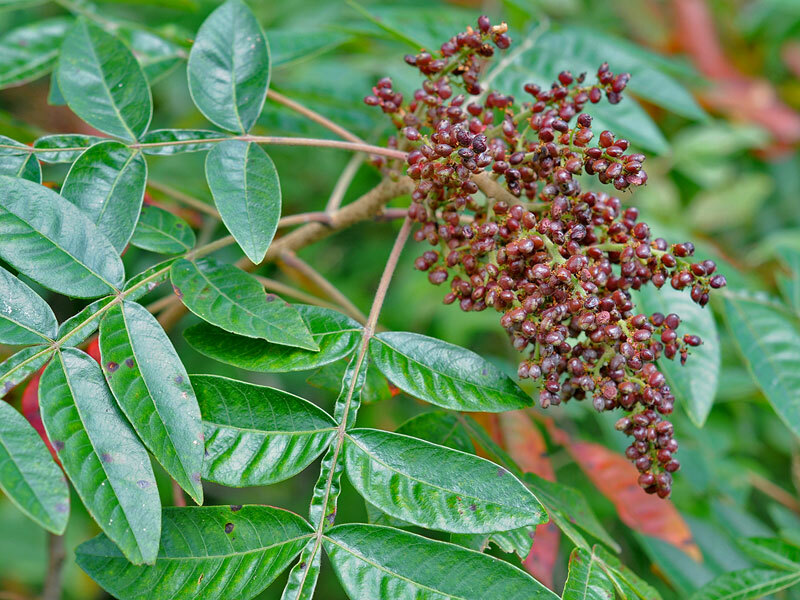 Winged Sumac likes full to partial sun and can thrive in a broad range of soil types. This common shrub is easy to identify because the flat stems between the leaflets are conspicuously winged (see photo lower left). 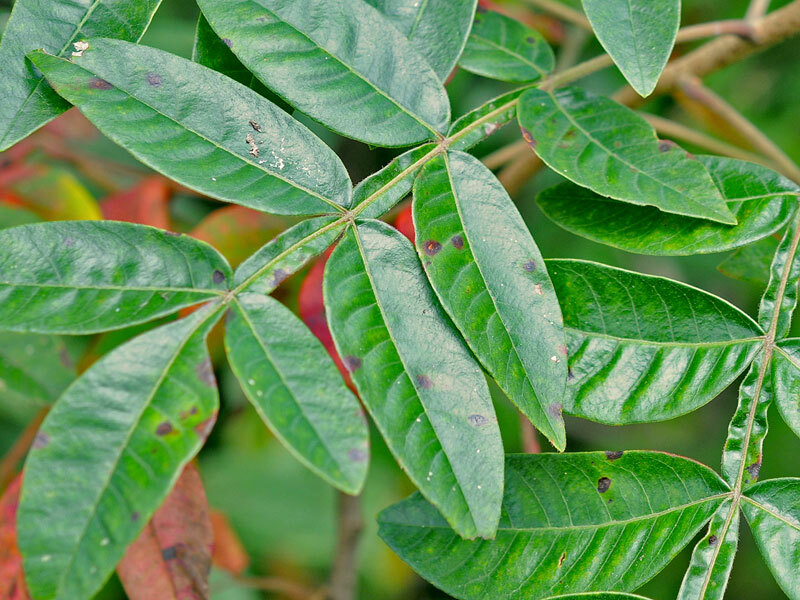 The compound leaves turn an attractive red in the fall, adding color to a fading landscape. Many birds feed on the fruit of Winged Sumac, including the bobwhite, wild turkey, bluebird, hermit thrush, robin and cardinal. Red-banded Hairstreak and Spring/Summer Azure butterflies lay their eggs on the leaves of Winged Sumac, which feed newly hatched caterpillars. This pretty plant is also host to the Luna Moth, Actias luna. The drupes are high in tannin and were used by American Indians for dyeing. Books on edible plants suggest the use of Sumac berries soaked in water in place of lemon.